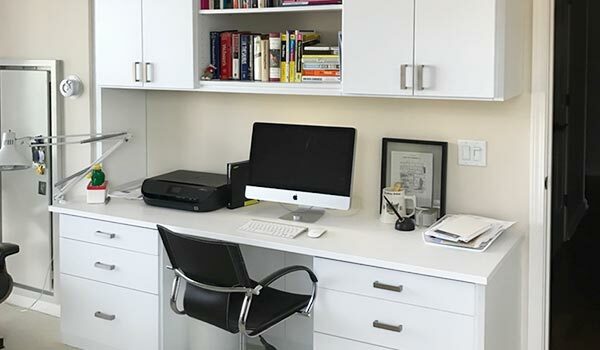 The option to work from home can be exciting because it gets rid of the often long commute, and offers an opportunity for a better work-life balance. 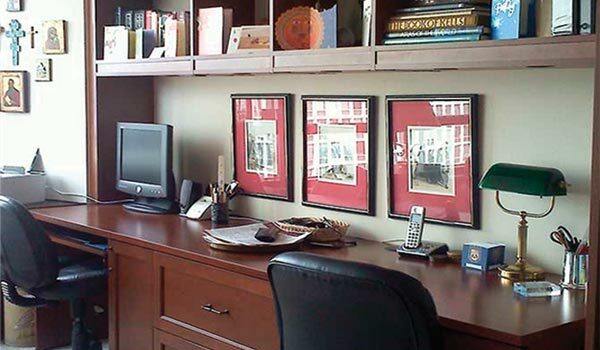 If the office isn't effectively separated from the home environment, however, peak productivity may be lost. 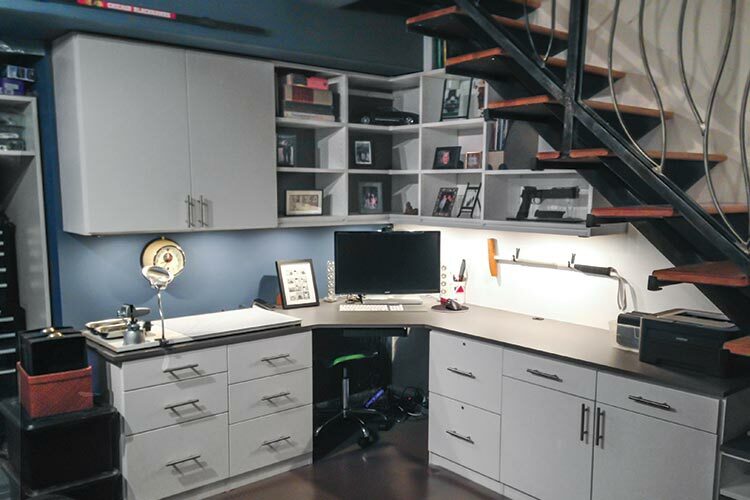 The best organization solutions include carving out a place for work, no matter what the size, that is separate from the rest of the home. 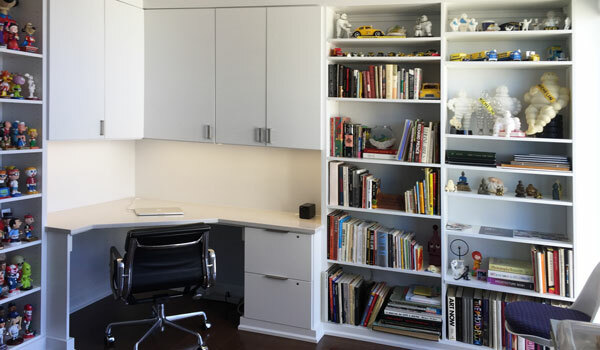 Utilizing custom storage and organization systems can help create that space, and ensure that your mind remains clear and productive — inspired to new ideas and solutions rather than chaos and mess. 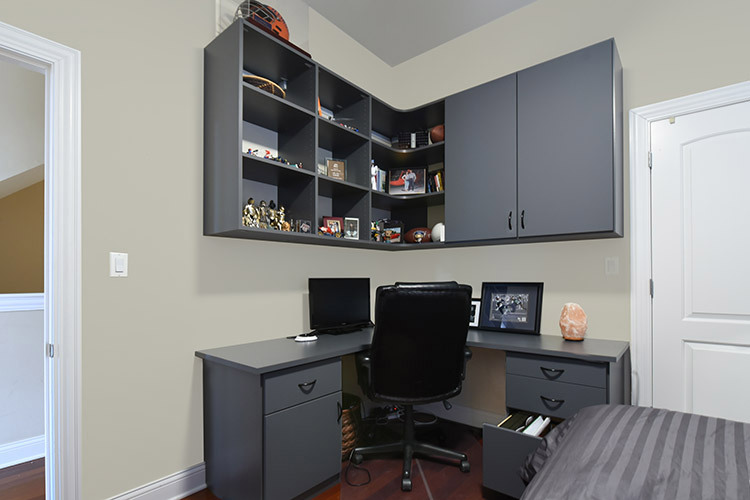 Closet Works can design a custom, clean and ergonomic space with plenty of storage to help keep it uncluttered. 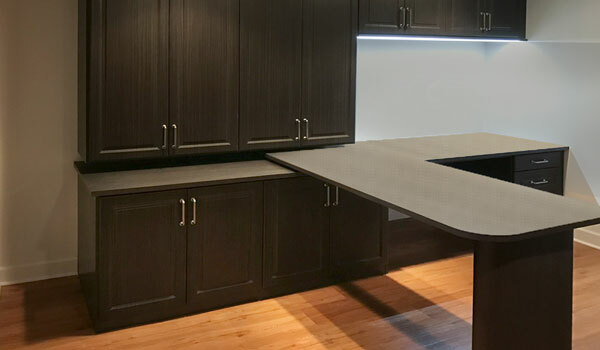 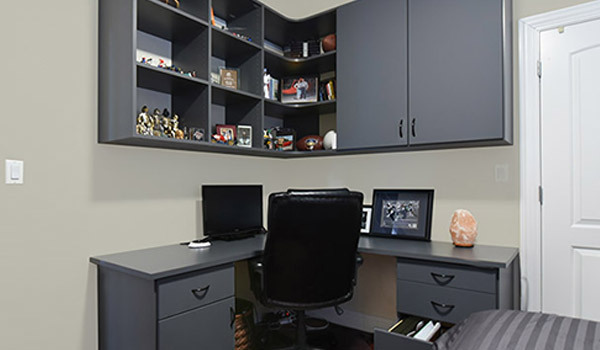 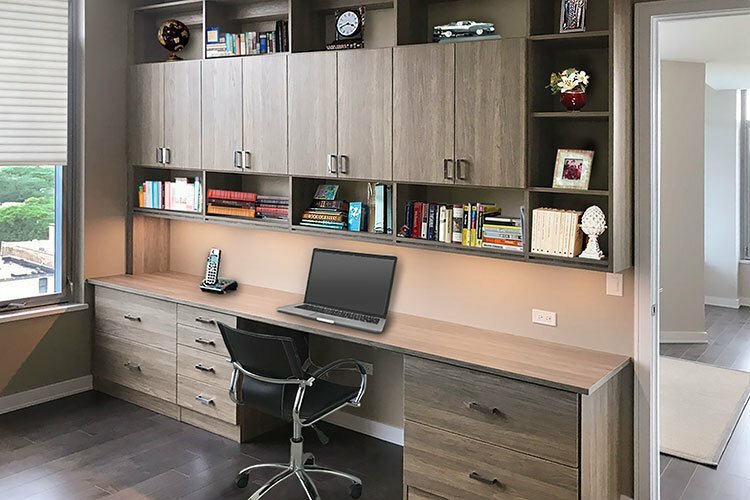 Getting maximum productivity from a small or oddly shaped room is no problem when the desks and storage components are custom designed for your space. 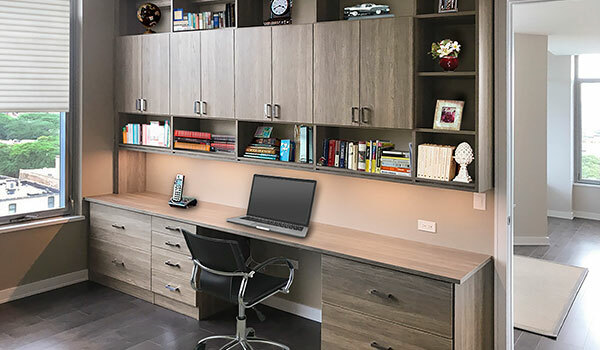 Your Closet Works designer can also assist you in personalizing your office with custom color choices and decor that matches your personality, ensuring that your work space is a happy one. 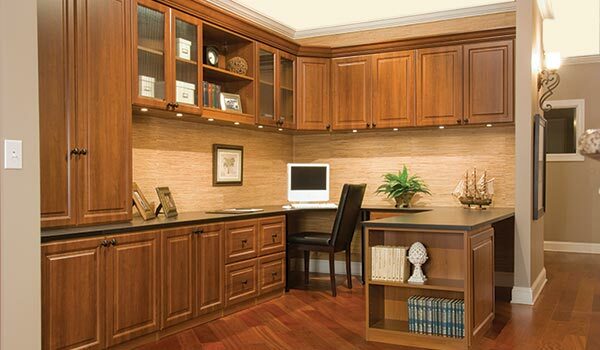 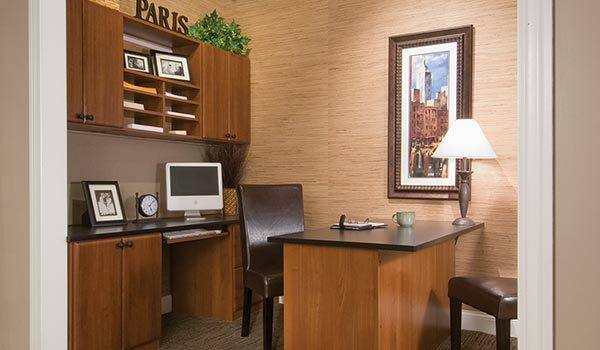 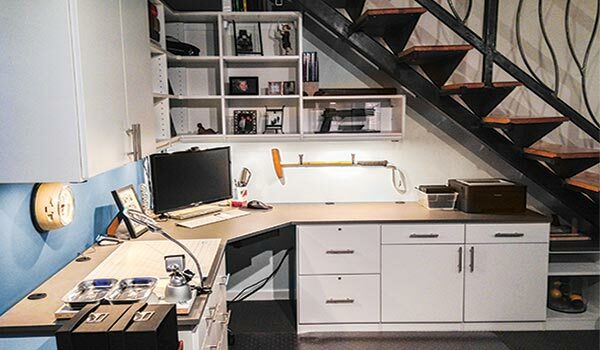 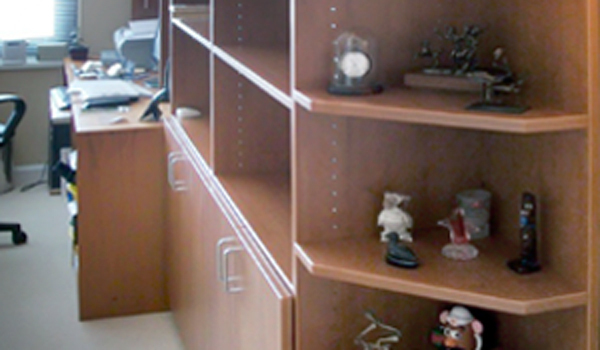 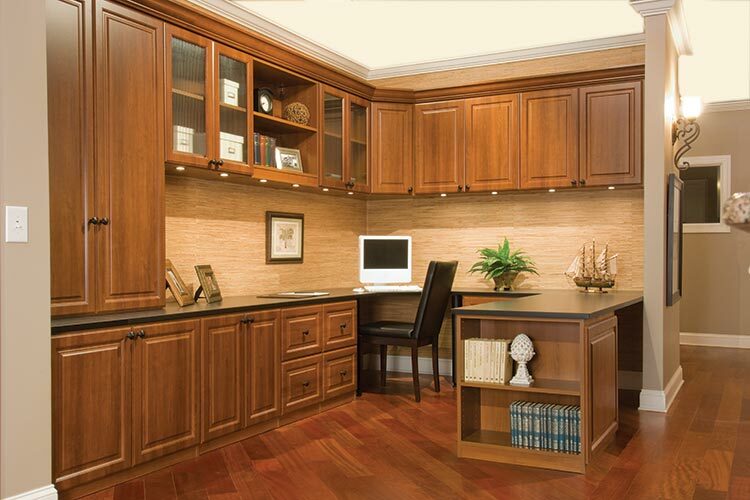 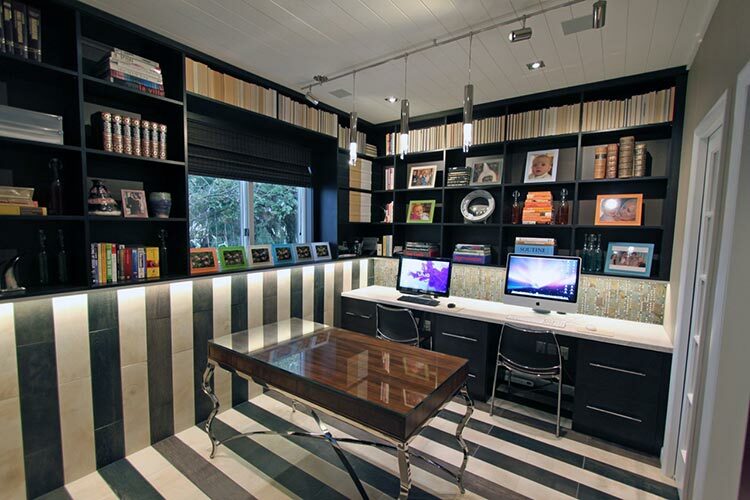 Home Office Project Gallery: Click on any photo to view details of our home office designs and home office storage.